Google translate instantly translates between any pair of over eighty human languages like French and English. How does it do that? Why does it make the errors that it does? And how can you build something better? Modern translation systems like Google Translate and Bing Translator learn to translate by reading millions of words of already translated text. This course will show you how they work. We cover fundamental building blocks from linguistics, machine learning (especially deep learning), algorithms, and data structures, showing how they apply to a difficult real-word artificial intelligence problem. 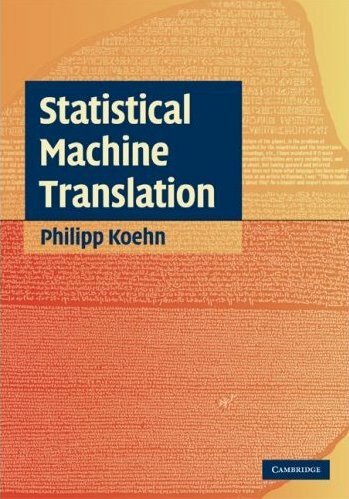 Statistical Machine Translation (errata) by Philipp Koehn. You can read it online through the JHU library or purchase from Amazon. To understand how machine translation works, you will build a translation system. We will mainly grade hands-on work. Late penalty for homework assignments: 10% per day. Feel free to reuse the source code .